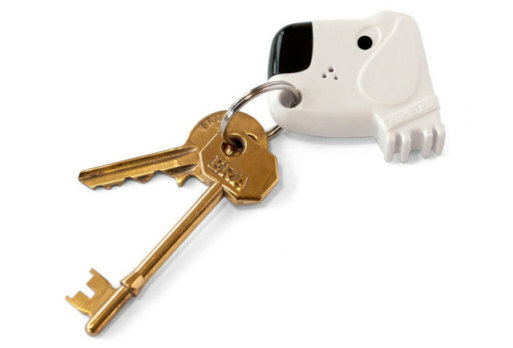 The Fetch My Keys Electronic Dog Key Finder will help you sniff out your missing keys. Just whistle for him. At the sound of a whistle this plastic pooch will begin to beep and his nose will flash, helping your find your keys under the couch or in the pocket of the last pair of jeans you had on. Batteries are included with the key ring that measures 1.75" square. He'll make your life so much easier that you'll really know why dogs are called man's best friend. For more information or to order, click here.